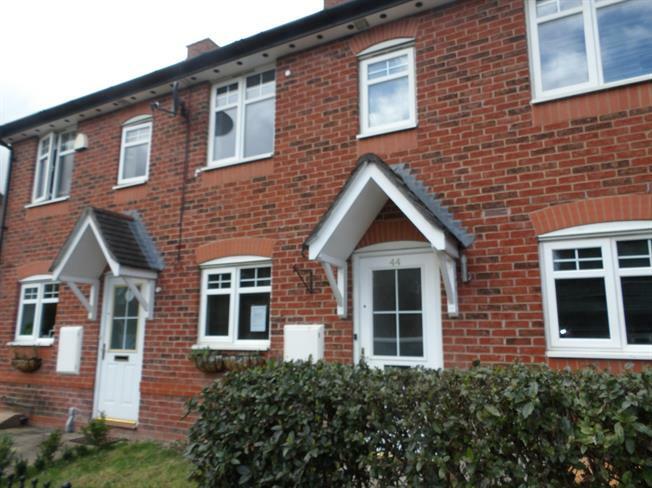 2 Bedroom Terraced House For Sale in Lymm for Asking Price £230,000. A great size terraced property within a highly sought after location with the benefit of no chain. This is an ideal first time buyer or investor property with a potential rental income of circa 750-800 PCM. In brief the accommodation comprises an entrance hallway, fitted kitchen and a fantastic size through lounge/diner with French doors onto the garden. Upstairs boasts two great size double bedrooms, with fitted wardrobes to the master and a family bathroom. Externally there is one allocated parking space and front and rear gardens.